WHEN TALENTED PROFESSIONALS TALK, WE LISTEN. Admit it, you have an inquiring mind,​ and you want to know about the team building your Flathead dream home. ​We understand the inclination. So we decided to bring you Shop Talk, conversations with the talented pros designing, building, and outfitting your homes. Ken Thomas has been in the spa/pool business for 23 years. 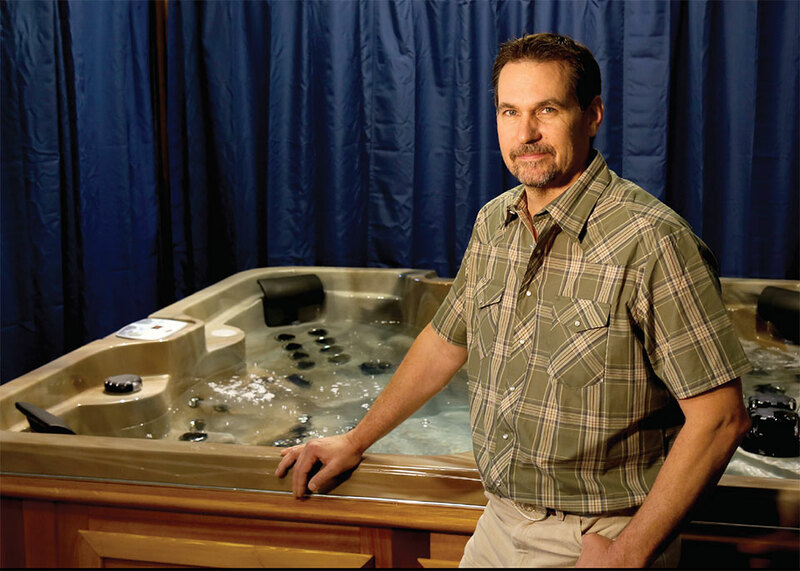 Prior to opening Escape Now Spas in the Mountain Mall in Whitefish, Montana, Ken owned and operated AAA Spa and Pool Repair in the Flathead Valley and surrounding areas for 8 years. With many years of spa and pool repair experience, Ken wanted to represent spas with the highest quality. He intentionally brought spas to the Flathead market that are American- and Canadian-made, with proven quality and value. Retail sales of American-made Cal Spas and Canadian-made Arctic Spas. Pool and spa chemical sales. Pool and spa repair services. Flathead, Lake, and Lincoln Counties. I have 23 years of repair experience on all brands of pools and spas, both commercial and residential. How do you see your field changing in the next five to ten years? We anticipate an increase in technology and automation options. Currently, the spa features can be managed through an iPhone and android phone. More features will become available to attract tech-savvy consumers. There seems to be a consumer desire for more natural products for spa maintenance. We anticipate advances in the saltwater products and more natural ingredients for spa maintenance. 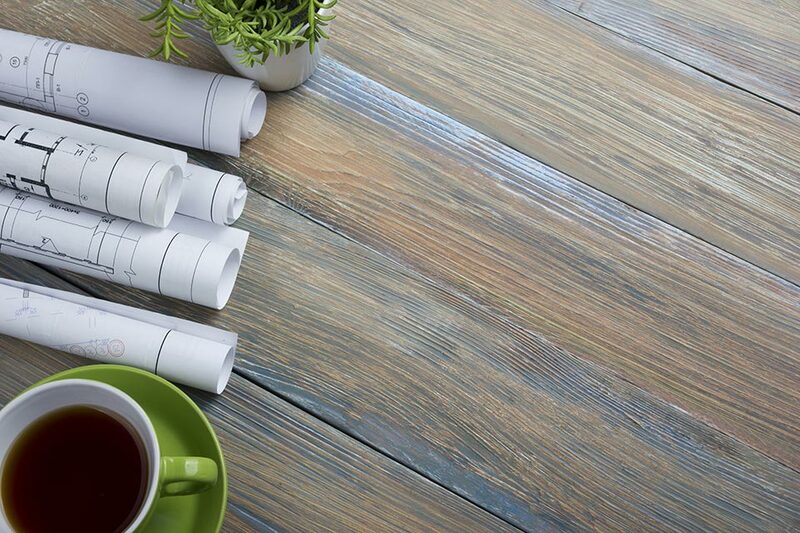 Describe your process—how do you work with clients, contractors, designers, and architects? We offer several different looks and styles of products. Most of our spas are custom-ordered to fit client, designer, contractor, and architect needs. We can time our orders and delivery to coordinate installation with contractors during construction. Do you have favorite products you prefer or are known for? After 23 years of repairing spas, I intentionally chose to sell Cal Spas and Arctic Spas. I have toured the factories and observed the manufacturing processes. I have confidence in the parts and the internal quality initiatives of the manufacturing companies. What word(s) do people use to describe your work? What is the most exciting new product or development in your field? Traditionally, spas have been utilized for relaxation and entertainment. The health benefits of water/heat therapy and exercise in our swim spas are gaining more and more recognition. It is exciting to offer products that have value therapeutically as well as recreationally. What do you enjoy most about your line of work? Providing a service and product that adds value to my customers’ quality of life. People work and play hard. Knowing that we offer reliable, high-quality products to enhance their life experience is fulfilling and rewarding. What project(s) are you most proud of? I am a perfectionist by nature, so I take great pride in any construction project that I tackle. It is important to me that my label on a project demonstrates commitment to quality. I also pride myself in my knowledge of spas. I jokingly brag to my wife that, “I cannot be beaten,” by a broken spa. I work until I can figure out the problem. Do you have a favorite sport or recreational activity, and what do you enjoy about it? I am an avid outdoor enthusiast. I love to hunt (rifle and archery), fish (fly fishing and boat fishing), camping, horseback trail riding, and dirt bike recreation. I love the outdoors and the ability to find solitude in nature. My wife and I had our honeymoon in the Grand Cayman Islands. We have vacationed in Hawaii and I love the tropical islands. I always view the Rocky Mountains as a great getaway. In 1994 I was a guide for an outfitter in New Mexico. One of the clients owned and operated a Cal Spa dealership. He was impressed with my work ethic and offered me a job. I started as a delivery person, and moved into a position as full-time service tech. In 2002 I started my own service company. In 2009 I sold that company and moved to Montana. Of course, I opened another service company here, with great success. In 2013 I became a Cal Spa dealer. Cal Spas are the country’s leading brand. In March of 2017 I opened my spa store, Escape Now Spas. In January of 2018, we became an Arctic Spa dealer. From a service standpoint, Arctic Spas are way ahead of the rest of the manufacturers. Do you have a favorite sport or recreational activity? I love to ride horses with my wife. We like to pack into the Bob Marshall Wilderness to fish and camp. We also like to pack in and hunt. I also am an avid dirt bike rider, mostly trails. I really do love the outdoors! You get weak in the knees over____________? After working in the construction and cabinetmaking industries for decades, Bill Amaya established Beyond Wood, formerly known as Cimarron Lofting Inc., in 1998 with the goal of bringing state-of-the-art fabrication techniques to the craft of cabinetmaking. With superior customer service, advanced technology, decades of experience, and a can-do attitude, Beyond Wood has worked on some of the nicest projects in the Northwest. Their commitment is to provide the highest quality products and fair pricing, while enjoying their clients and the process. Dream realization. We work with clients to turn their design ideas into reality. 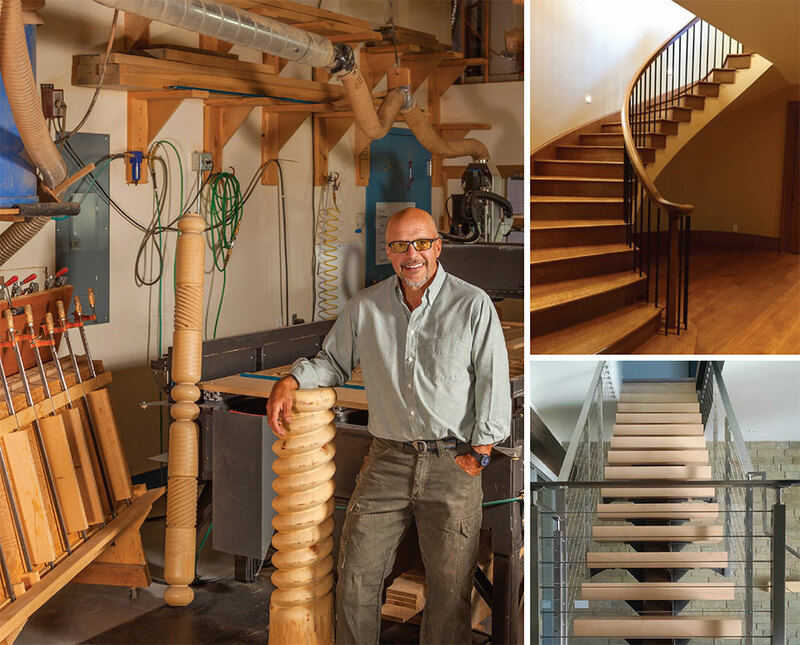 You could think of us as an architectural wood-working company building stairways and cabinets, but really it is so much more than that. With decades of design and fabrication experience, we offer a number of methods for clients to fully realize their projects. Three- dimensional modeling to see the project before it is built, digital measuring to integrate the real world with state-of-the-art methods of building, 3D printing, and a fully-equipped wood-working plant. We currently have projects from Vail, Colorado, to Seattle, Washington. Clients, contractors, and architects bring projects to us and the design state can be anywhere from sketches on the backs of napkins to full architectural drawings. We then produce a three-dimensional model. This allows all stakeholders to see the project from any angle, up close or far away. A picture is worth a thousand words; a 3-D model is worth three thousand words. Occasionally we build mock-ups. Often, designs get modified and enhanced. Budget and ease of building are in play during this step of the process. Other collaborators are brought in to the process. Getting their feedback early in the process is critical. The fun really begins when we release a project into the shop. We combine traditional woodworking techniques, hand work like carving, and traditional machine work with computer numerically controlled (CNC) robotic methods. The capabilities of our five-axis CNC router are game-changing. Cost-effective and able to produce complicated parts, it is the backbone of our operation. We have built 50 or so circular stairways, and each of those has been challenging and rewarding. Challenging to figure out and craft the crazy shapes involved. Rewarding when complete in seeing a multi-story sculpture that you can walk upon. We have a reputation for taking on technically challenging projects, from motorized, curved, sliding wall systems to cabinets with motorized drawers and stainless steel tops, to commercial clothing store displays. It is extremely satisfying to develop solutions and communicate, collaborate, and execute those solutions. I am really proud that our clients trust us to help them with these projects. What makes the difference between a good house and a great house? That is a little like grasping at the morning fog. We have worked on homes that inspire awe because of their grandeur, great rooms that are indeed great, with beams and rock work on a scale that stops you in your tracks. We have worked on homes that embrace a person with modest, human-sized rooms that contain well-thought-out features. We worked on a home in Sun Valley that had a view of the ski mountain from virtually every room. We have collaborated on a few homes where the architect has been divinely inspired and where the shape of the rooms, the size and placement of the windows, and the orientation of the home so are “right” as to leave us speechless. But I think the perfect home is one where you hear a little music in the background, punctuated with laughter, surrounded by the smell of food on the stove. A home that invites you in and surrounds you with the comfort of fine materials proudly crafted. A house where you are safe and loved . . . what more is there, really? What is the most exciting new product in Your field? I have been home building from the day when electrical saws and air-powered nail guns were just beginning to replace handsaws and hand nails. And through the years I have seen the entire industry incrementally improve in nearly every aspect. But the biggest innovation in my lifetime has been the development and integration of computer-aided manufacturing. Ever since the founding of my company, we have embraced technology as a core competitive imperative. We have utilized computer numerically controlled robotic fabrication for over 15 years. It has been a revolutionary change. That technology has changed the accuracy of our products, ease of fabrication, and ability to make very complicated products- even how we think about making a product. In the old days if you got 100,000 miles and 10 mpg from your car that was good. Now we routinely see cars with a quarter-million miles and 30 mpg. That improvement is the result of much better fabrication techniques and tolerances. Home building, cabinet- making, and stair-building are all seeing comparable or better improvements, also due to better fabrication techniques. At the heart of that quantum leap forward is the advent of computer-aided manufacturing. We work every day on being the best craftsmen and craftswomen we can be. Being the best we can be means embracing this incredible new technology. What is the biggest challenge about Your work? Finding, training, and nurturing the next generation of craftsmen. Our society does not necessarily place the lifestyle of crafting and building at its pinnacle. There are some truly amazing and talented young makers out there. The challenge is to find them and help them grow, while simultaneously offering our clients the very best in quality and value. Bicycle riding. Really anything with one or two wheels—unicycle, motorcycle, bicycle. My spouse thinks I have a bike “problem,” just because I used to own 10 bikes. It is just a great sport and hobby. I ride mountain bikes, fat bikes, recumbents, and I’m working on riding a unicyle. Biking allows me to get outside, see amazing areas, and get some exercise. One of the nice things about biking is that it does not hurt. I can go out and ride for hours without being sore the next day. Mountain biking gets me out into the backcountry, to places I may not go otherwise. My fat bike has added to my winter enjoyment in a very big way. I also like to wrench on my bikes. Bicycles are so nicely made that they are a pleasure to work on. As a hobby, biking is relatively inexpensive. Once you own your bike you can ride for months with no further expense. I have a couple of bikes from 1996, and one of them I ride almost daily. What is a book that you would recommend? I love reading. Jon Krakauer, Malcom Gladwell, Nassim Taleb, Daniel Kahneman, Michael Lewis, and Norman Maclean are a few of the authors whom I have read. Digging into a subject deeply is fascinating to me. But I also like fiction. The sci-fi book Nexus was a good read as was Wool. The Emerald Mile was also a great read. I am a fan of Neil Stephenson as well, although starting one of his books can be a real commitment. I don’t think I can narrow it down to just one book, however. Give me a good story, well-written, and I am happy.